When Jim and Mike started playing guitars, there were lots of guitar instrumentals in the pop charts to provide musical inspiration. Two of the most famous of these were “Apache” and “Man of Mystery” by The Shadows. We recorded these as duets at first, then Blair Cunningham established a direction for the group recordings by adding his distinctive drum grooves, perfectly complemented by John McKenzie’s bass lines. One of Jim’s favourite gospel songs, “What a friend we have in Jesus”, has the same lineup but sounds quite different in character – much more bluesy. In contrast, “Jailhouse Rock” and “Swanee River” sound a lot more jaunty, thanks to Graham Dean’s perky drumming, again with John McKenzie on bass. 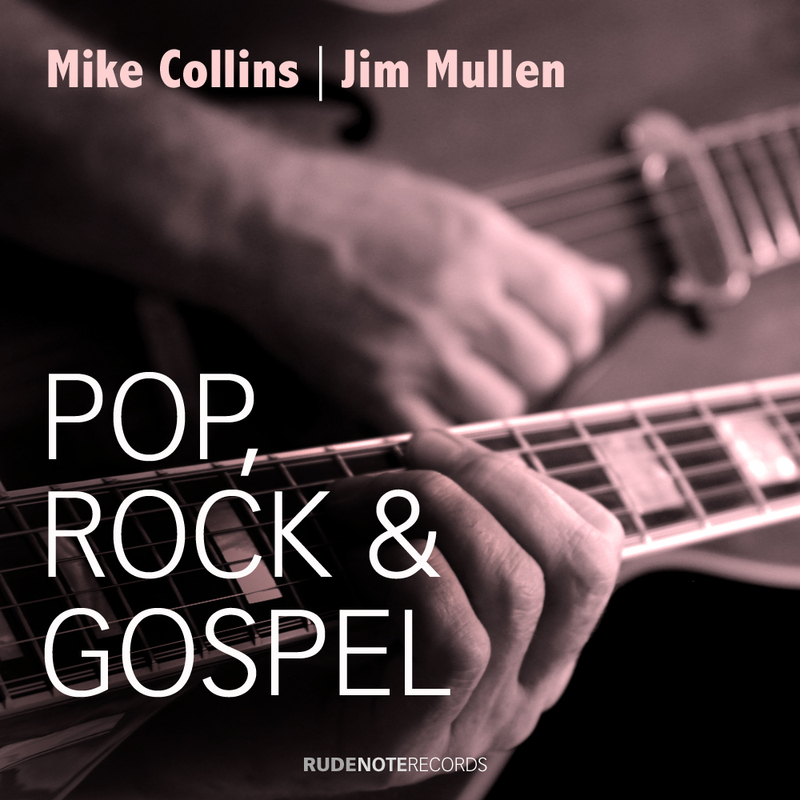 Two of these tunes, “Jailhouse Rock” and “What a friend we have in Jesus” also feature keyboardist Bill Mudge playing my Hammond M3 organ – adding a further dimension to the sound. “Mardy Brown” (a close musical ‘cousin’ to Sweet Georgia) together with “We Shall Not Be Moved” and “John Brown’s Body” feature Winston Blissett on bass with Blair Cunningham on drums and also draw on pop, rock and gospel influences… while an original composition, “This is the love”, is based on the chord changes for the jazz standard, “Cherokee”. The last six tracks are all well-known pop and jazz standards, including “Old Man River”, “Georgia on my Mind” and “When I fall in Love”. To expand the sound on “Blue Moon”, “Blue Monk” and “The Sound of Music”, Roger Beaujolais joins the group on vibraphone. Jim plays most of the lead guitar on Man of Mystery while Mike plays lead on Apache. Jim stays out front on lead for the next four tunes with Mike keeping to rhythm. On the next couple of tracks, Mike plays bottleneck-style electric guitar to complement Jim’s gospel/blues guitar, then leaves the guitars to Jim on the jazzy tune “This is the Love”, just playing a soft shaker to fill out the rhythm. Mike developed fuller arrangements on the next six tracks which feature Jim playing lead and rhythm guitars with Mike playing various hand percussion instruments, second lead guitar on “Old Man River”, tenor banjo and mandolin on “Blue Monk”, tenor banjo, piano and piano-accordion on “The Sound Of Music”. The only exception here is “Blue Moon” on which Mike plays the main melody in the bridge sections while Jim plays the melody in the verses and the improvised solo.